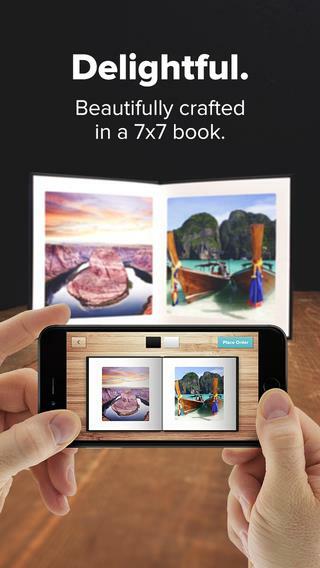 The Mosaic app lets users make personalized photo books on iDevices and Android devices. Featured on The Today Show as ‘One of our favorite gifts’ and Good Morning America ‘Deals and Steals’. 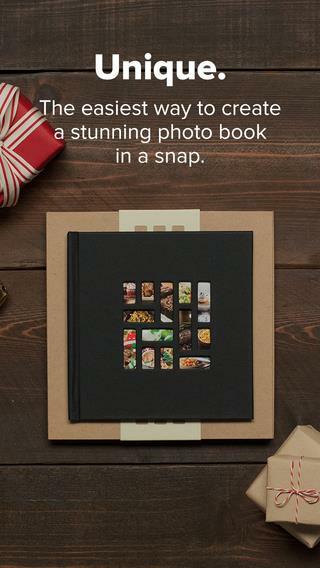 Create a photo book from your phone in a snap. 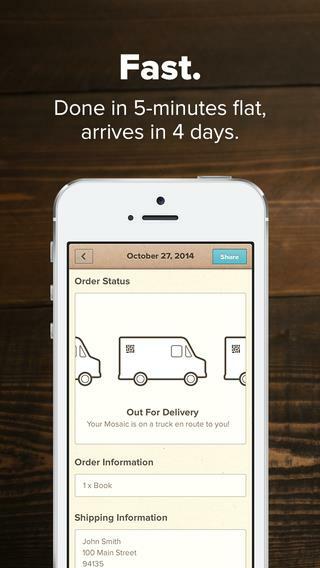 The perfect, personal gift, made in minutes, delivered to your doorstep in 4 days. Use your iPhone, Facebook, Instagram, Afterlight and Pic Stitch photos to create and order a photobook in minutes, right from your phone. 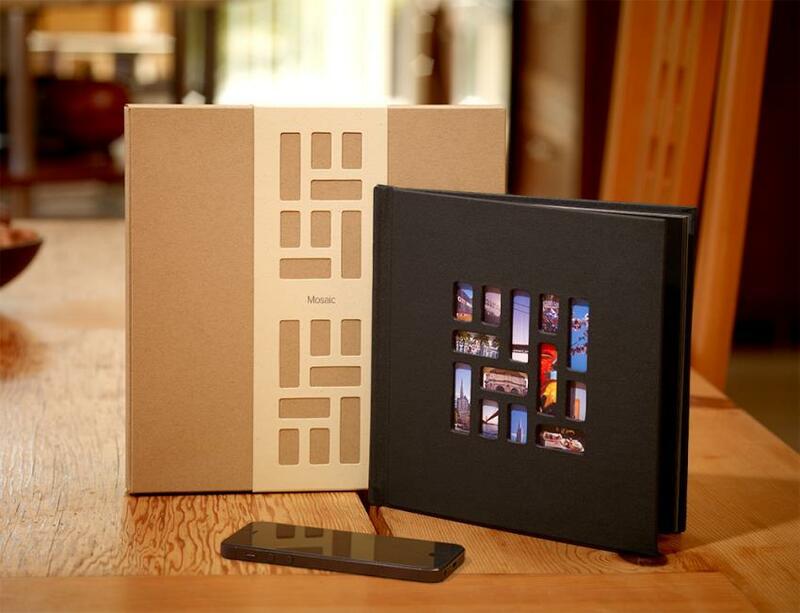 Mosaic is beautifully packaged, has a unique photo collage cover, high quality photo prints, and makes the perfect gift. 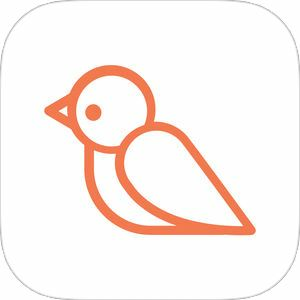 • Choose 20 pics – Quickly tap those great wedding, holiday, birthday, baby, or BBQ photos, flip through the stunning photobook preview, and order with lightning fast photo upload -- all from your iPhone or iPad. No need to crop, frame, edit or add an effect to your photos. 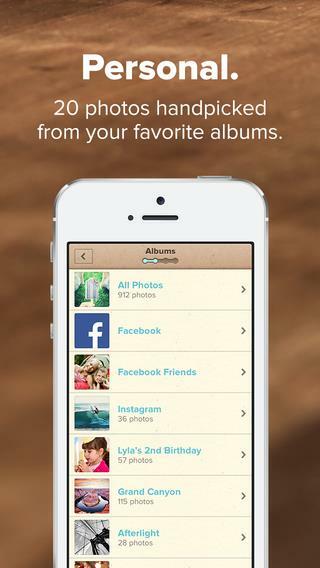 Mosaic is an easy way to capture memories in a simple photo album. • 7" square printed memory book - Mosaic photo books are just the right size at 7-inches square for anyone in the family to enjoy. 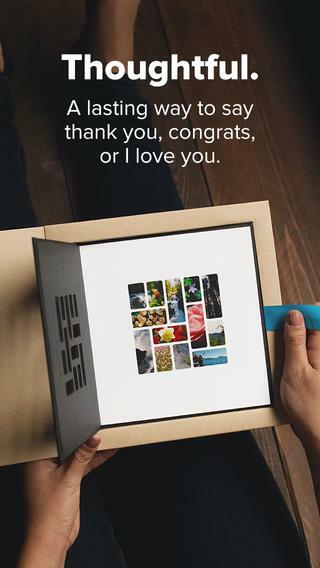 A better way to preserve photo memories and share your photo prints in a modern day album! • Quality you feel - It all starts with 13 precisely machined windows to showcase your photos in our unique collage maker photo book cover. It continues with a durable linen cover that feels great. With Mosaic, all your digital photos are printed razor sharp with superb quality on silky smooth paper, engineered specifically for our printing presses to ensure colors are vivid and blacks are inky. • Arrives in 4 days - Mosaics are printed within 48 hours and shipped fast, making a great last minute gift. If you don’t have time to create a lengthy scrapbook, photo album, photo prints or edit photos in Photoshop, then Mosaic photobooks are for you. There is no need to crop, frame or add an effect to your photos. Mosaic is the perfect way to bring your baby, travel, family, friends and holiday pics to life, in a beautiful printed photo book. Mosaic makes a great, unique baby gift or present for Father’s Day, Mother’s Day, Christmas, a birthday or wedding gift. Share your photo album with friends and family on Facebook and Twitter. Add your Pic Stitch photos to Mosaic to include photo filters, borders, a photo collage, and custom layouts. People who use Pinterest, Snapfish, Simple Prints, Shutterfly, and PicCollage enjoy Mosaic for its simplicity.  Reviewed by Good Morning America, USA Today, Today Show, Forbes Travel Guide, MacRumors, Uncrate, The Verge, Daily Candy, Maxim, and many more. “Mosaic Photo Books”, “Mosaic”, and “Mixbook” are trademarks of Mixbook, Inc.